Stress and anxiety can put a lot of strain on the body. While exercising, meditating and eating well is always important, it can be hard to keep on top of these things when you are going through a rough patch. One quick solution to support your wellbeing however, is staying hydrated. Drinking lots of water is not only beneficial to your body’s cellular processes but it can also boost your energy levels and clear your mind. Water can also help to flush out heavy emotions and help to detoxify any stagnant energy that may be lingering in the etheric body. If you are going through a challenging period remember to drink plenty of water throughout the day. Part of our human gifts in this life is being able to understand and rationalize things using our logical mind. While this is an incredible skill to have, sometimes it is important to remember that not everything can be understood from this place of thinking. Sometimes, no matter how hard you try things are just not going to make sense on a logical or practical level. When this occurs, it is important to stop thinking and start feeling instead. Our feelings are powerful guidance tools that can actually be far more effective than trying to understanding things from a place of logic. The trick with using our feelings as a guide is to not let our logical mind analyze or interfere with the process. To do this, simply calm your mind using your breath and then tune into your true feelings. You may just be surprised as to what comes up and how you can use it to guide you. When you are in the midst of a challenging life period it can be tricky to find the gratitude and understand why things are unfolding the way that they are. Often the most challenging periods of our lives lead us to the most rewarding places, but it can be hard to see this when going through the motions. When life is no longer making sense to you, it is often a sign that huge growth and transformation is underway. During this process it is important to step out of the chaos for a moment or two and acknowledge that things will all make sense in the end. There is always an ending and always a resolution that will arise and the more you can trust that, the easier it will be to moving through the process. Remember that things always work out and there is already a resolution to all of your problems, all you have to do is keep moving forward. Senior Religion Reporter at ThinkProgress. When Pua Case landed in North Dakota to join the ongoing Standing Rock protests in September, she, like thousands of other participants, had come to defend the land. Masses of indigenous people and their allies descended on camps along Cannonball River this year to decry the construction of the Dakota Access pipeline, a series of 30-inch diameter underground pipes that, if built, would stretch 1,172 miles and carry half a million barrels of crude oil per day — right through lands Native groups call sacred. But while media attention has focused on the massive, sometimes heated demonstrations—which include several alleged instances of brutality and dog attacks —there has been less attention paid to how the protest is recharging the lager climate movement, not to mention the peculiar nature of the participants. Case, for instance, traveled quite a long way to the Peace Garden State: she is from the sunny shores of Hawaii, not rugged North Dakota, and she claims a Native Hawaiian identity, not a Native American one. And she wasn’t there just to protest; the sacredness of the land is especially important to her, so she was also there to pray. Case’s experience is shockingly common—both as a protester visiting a far-flung land to support a Native cause, and as a witness to an emerging indigenous spiritual movement that is sweeping North America. She’s part of something bigger that is, by all accounts, the theological opposite of the aggressively Christian “awakenings” that once dominated American life in the 18th and 19th centuries, when primarily white, firebrand ministers preached a gospel of “manifest destiny”—the religious framework later used to justify the subjugation of Native Americans and their territories. The diverse constellation of Native theologies articulated at Standing Rock and other indigenous protest camps champions the reverse: they seek to protect land, water, and other natural resources from further human development, precisely because they are deemed sacred by indigenous people. And this year, after centuries of struggle, their prayers are starting to be answered. The size and intensity of the Standing Rock protest caught many observers off guard — the media included. 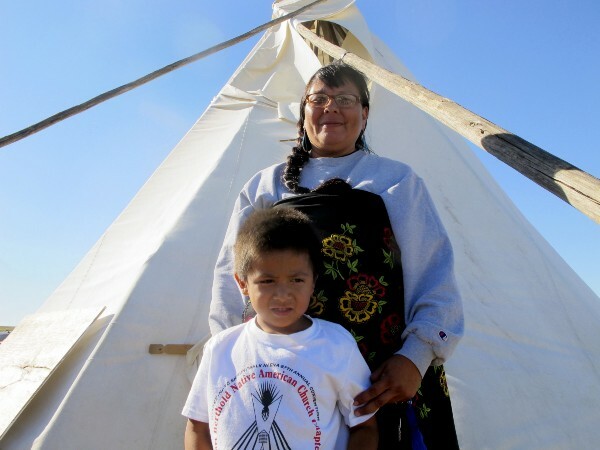 Beginning with just a few tents sprinkled across a barren field earlier this year, protesters now say nearly 10,000 people have visited the thriving camps, with guests hailing from as many as 300 different indigenous tribes. Expressions of solidarity between indigenous groups may sound predictable, but the history of Native American activism is pockmarked with internal squabbles. 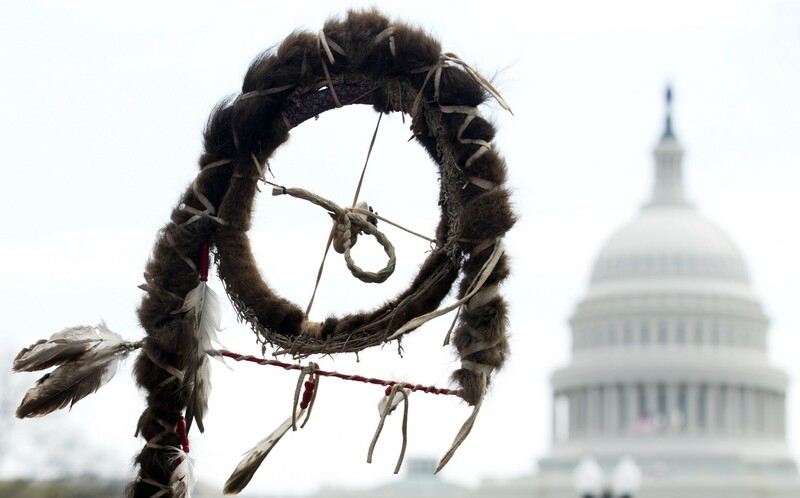 Early attempts to unify indigenous causes in the United States, such as the creation of the American Indian Movement in the 1960s, have since been marred by controversy and factionalism. Native Hawaiians once avoided connections between their cause and that of Native Americans, lest they suffer the same humiliating defeats as those in the continental United States. And while flashes of unified activism persisted throughout the late twentieth and early twenty-first century, indigenous communities in North America often struggled to win major victories — legal, cultural, or otherwise. But all that changed in December 2012, when four women in Western Canada — three First Nations women and one non-Native ally — held a teach-in to protest legislation they said would weaken environmental laws that protect lands Natives hold sacred. The activists entitled their demonstration “Idle No More,” and the movement exploded on social media; within days, flash mobs performing traditional spiritual dances sprung up in city centers and shopping malls across the country. Taking cues from Occupy Wall Street’s organic structure, a series of marches, rallies, and direct-action peaceful protests that blocked highways and railways quickly followed, making headlines in Canada and abroad. 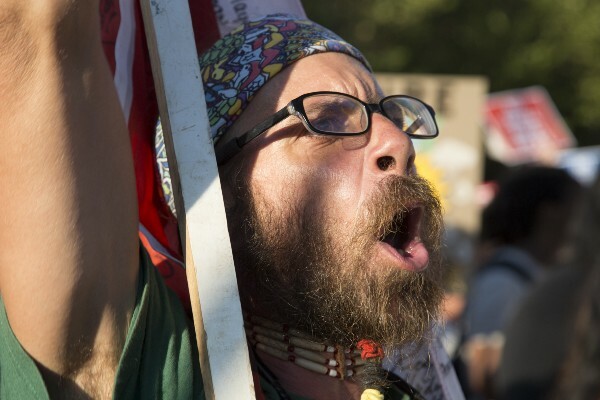 Idle No More’s success set off a firestorm of solidarity protests among indigenous groups in the United States, who in turn used the energy to draw attention to their own local fights — virtually all which involved some sort of spiritual claim. 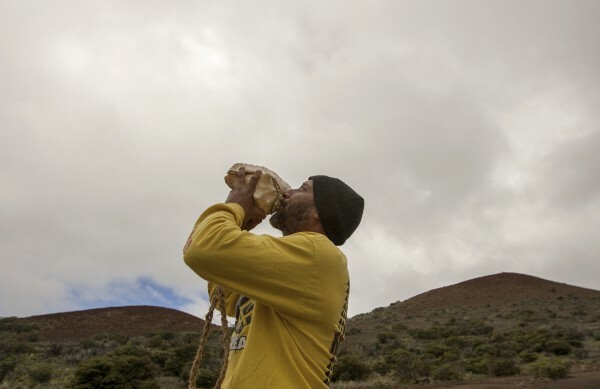 In Hawaii, protesters inculcated the same tactics — and sometimes even the same slogans — into an ongoing effort to halt the construction of the Thirty Meter Telescope (TMT) atop Mauna Kea, a volcano Native Hawaiians consider sacred. In Arizona, members of the Apache nation began occupying an area known as Oak Flat, vowing to fend off the proposed development of a copper mine on land they call holy. 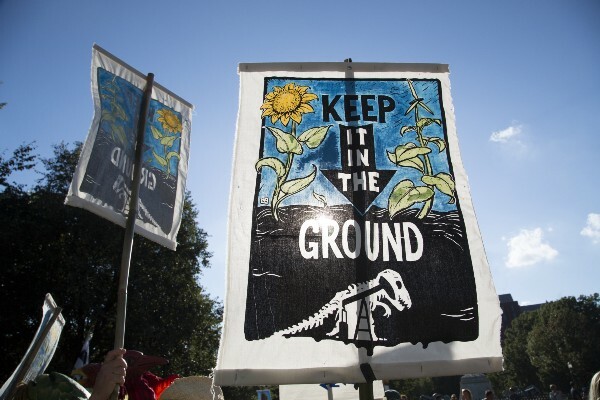 And when environmentalists pushed back against the creation of the Keystone XL pipeline, organizations such as the Cowboy and Indian Alliance bolstered the existing climate change movement with Native activists in both Canada and the United States. Meanwhile, something new happened: social media allowed indigenous people across the country to show support for their fellow activists with a few simple clicks, adding hashtags and memes to their own Facebook and Twitter profiles. 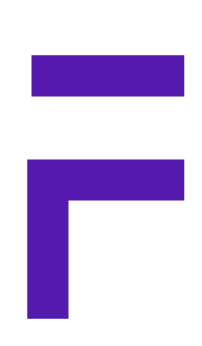 The digital connections helped elevate their respective causes, but also forged real-world relationships between activists in different tribes. By the time Standing Rock rolled around, a spiritual network of indigenous people was already in full effect. “Many of the people I met at Standing Rock I’ve been friends with on Facebook for years,” said Case, who has been a key organizer in Native Hawaiian activist circles. Case noted that she and several of the Standing Rock protesters had been “sending prayers” back and forth over social media for some time. These connections inspired Native Americans such as Caleen Sisk of California’s Winnemem Wintu nation to join her in an occupation of Mauna Kea in Hawaii. 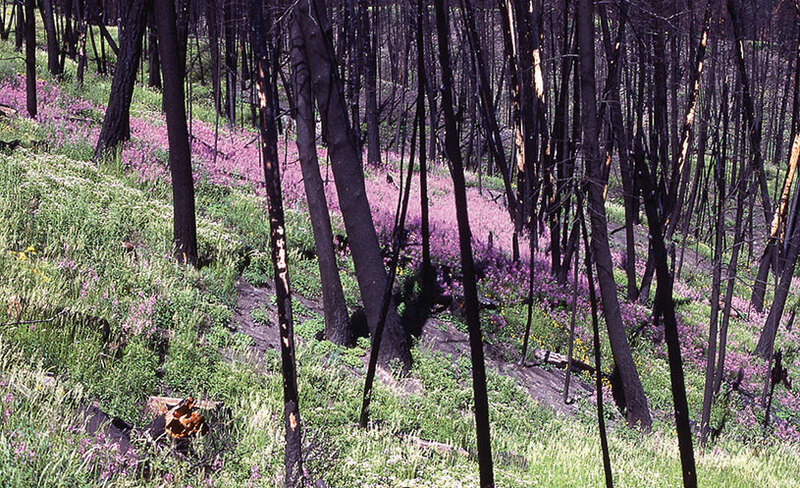 Years later, Case returned the favor by assisting Sisk in her effort to restore California waterways once frequented by millions of local salmon. “The most important word here is alliances,” she said. Asked about the movement’s religious elements, Gonzales insisted spirituality isn’t a cursory side-effect but a crucial, driving force behind the recent surge of Native environmental activism. Virtually all of the protests she has attended, she said, featured some form of prayer or sacred ritual. 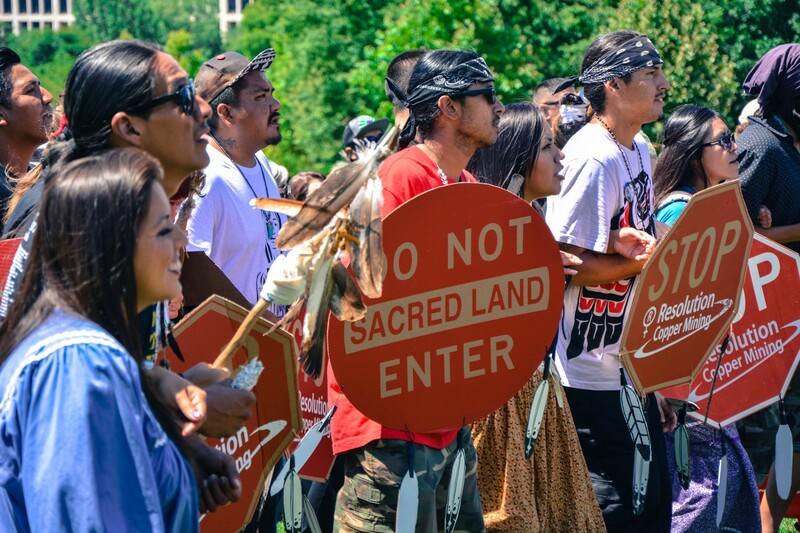 Religion has long been a part of Native American protest movements, as has its connection to the environmentalist struggle. But religious scholars say they’re also seeing something unusual this year: demonstrators are actively creating new religious expressions. Greg Johnson, a Hawaiian religion expert and an associate professor of Religious Studies at the University of Colorado, Boulder, said these indigenous protests are increasingly led by young, creative organizers who are “generating” religion through their activism. While this groundswell of religious generation is rooted in old traditions, it sometimes reawakens ancient elements that can challenge elders. “To introduce another spiritual element — I am a two spirit,” Gonzales said, referencing a Native American term used to describe gay, lesbian, bisexual, and transgender people in their communities. Although traditionally celebrated in many tribes, two-spirit people have not always been welcomed by modern indigenous people. Yet when Gonzales and others formed the International Indigenous Youth Council at Standing Rock, the majority of the leadership identified as two-spirit — a designation they link to their faith. Faith is a core mobilizing and stabilizing force for the movement, but it’s also central to the legal arguments used by Native groups to defend their land. In addition to other claims, both the Oak Flat and Standing Rock lawsuits contend that the federal government — or the companies it employs — violated the National Historic Preservation Act, which requires agencies to “consult with any Indian tribe… that attaches religious and cultural significance to properties with the area of potential effects.” The Hawaii case is similarly rooted in disputes over sacred land, although the lawsuit currently focuses on state laws, not the federal statutes. But according to Johnson, an expert on sacred land disputes, the law is often not enough to guarantee indigenous groups a win. Indeed, the movement thus far has largely been sustained through protest and agitation. 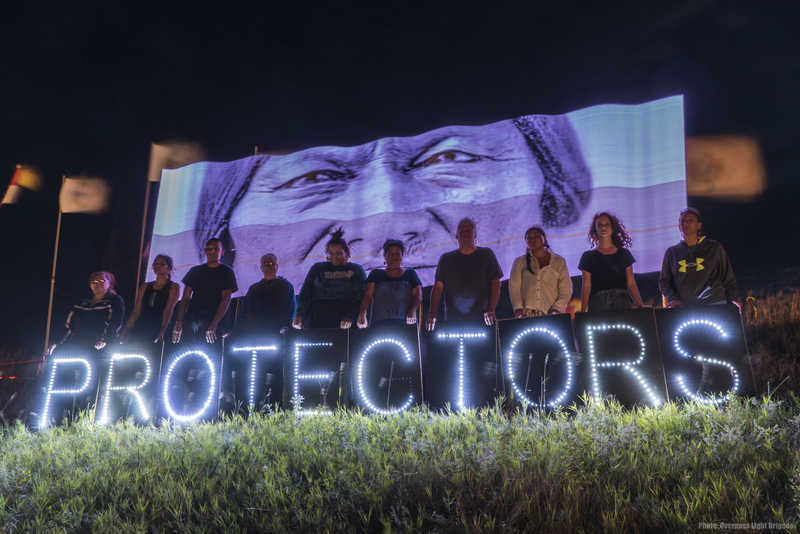 The legal case to protect Standing Rock ultimately fell flat in early September, for instance, when a U.S. District Court judge denied the nation’s request to halt pipeline construction. 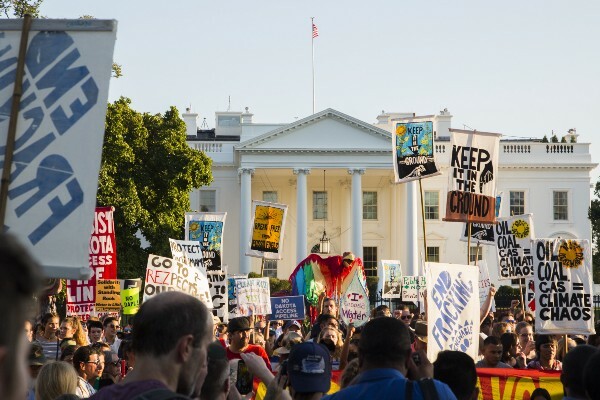 But the movement proved more powerful than one judge: shortly after the ruling, the Obama administration — under pressure from scores of Native groups and their allies — called on the Dakota Access to stop construction voluntarily, and the D.C. Circuit Court of Appeals temporarily halted work on the pipeline shortly thereafter. Such is the recurring — and increasingly successful — strategy of these protests. Slowly accruing support and attention over time, and leaning on sacred claims, activists whittle away the patience of corporations and government officials until they (ideally) give up. 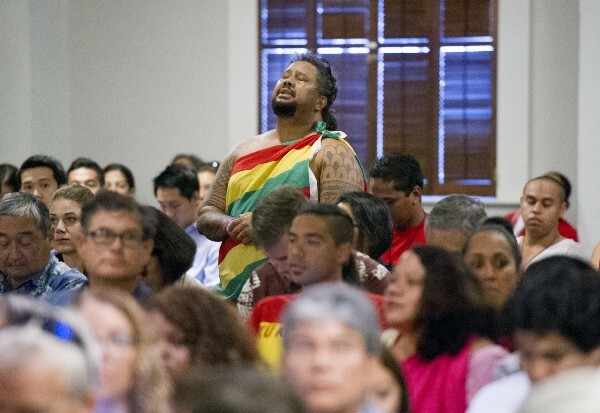 In Hawaii, construction of the TMT is currently stalled while lawyers debate aspects of the construction process, prompting The Hawaii Island New Knowledge fund to begin investigating alternative sites. In March, the Obama administration moved to place Oak Flat on the National Register of Historic Places, adding another bureaucratic hoop preventing the Resolution Copper company from installing a mine on site. 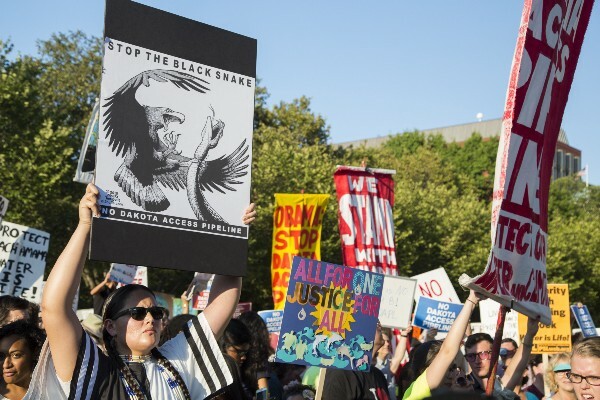 The Lummi Nation in Washington State successfully defeated an effort to build the largest coal port ever in North America near their land earlier this year, and Native groups are also credited with helping stop the construction of the Keystone XL pipeline in 2015. And in addition to their secular allies in the climate movement, indigenous groups are also attracting partners in non-Native faith traditions. 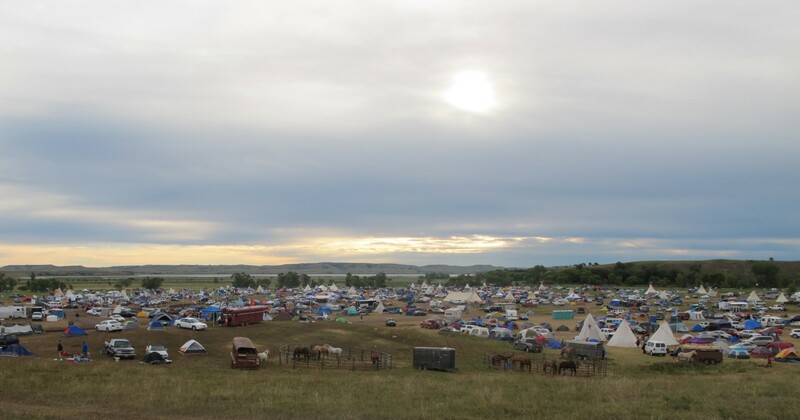 Representatives from the Presbyterian Church (USA), United Church of Christ, Episcopal Church, and the United Methodist Church have all visited the Standing Rock camp or expressed solidarity with the protesters, as has the Nation of Islam, according to the Religion News Service. But the fight is far from over. Many of these disputes—including the Dakota Access Pipeline—are not yet resolved, and Native activists are already gearing up for new campaigns. In late September, dozens of tribes in Canada and the United States signed a treaty pledging to combat any further development of Canadian “tar sands,” which they say put their reservations and “sacred waterways” at risk of oil spills. Case said movement members will continue to lean on each other for strength moving forward (“We could use some prayer,” she joked) and that they won’t rest until they make it clear that the environment — earth, sky, and water — is, in a very literal sense, sacred. 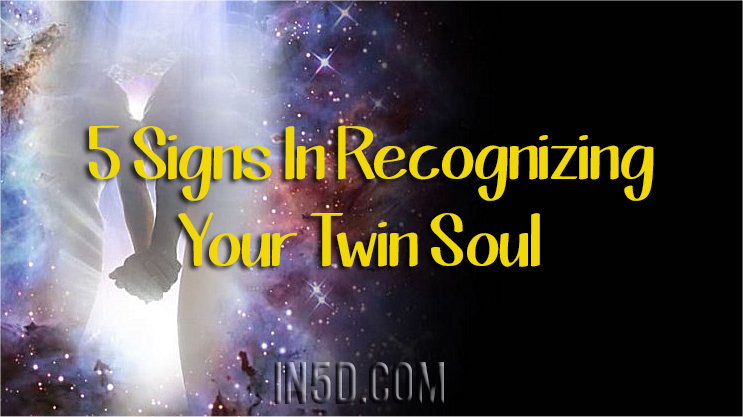 Twin souls have gone through many reincarnations and lifetimes on earth and throughout the universe, so when they do meet again, the soul recognizes and the synchronicities light up, just like spark and passion combined, a feeling of familiarity. If you need insight and direction to know if you have come across this person, here are some tips. A dark night of the soul is a kind of initiation, taking you from one phase of life into another. You may have several dark nights in the course of your life because you are always becoming more of a person and entering life more fully. At least, that is the hope. One simple rule is that a truly deep dark night requires an extraordinary development in life. One outstanding example is Abraham Lincoln. With his early life surrounded by death and loneliness and his adult life weighed down by a war in which thousands of young men died, he was a seriously melancholic man who, in spite of or through his dark night, became an icon of wisdom and leadership. One theory is that he escaped his melancholy in his efforts for his country, but another possibility is that the very darkness of his life—he once said, “If there’s a worse place than hell, I’m in it.”—was the ground out of which his leadership grew. As a therapist, I have worked with people profoundly sad and discouraged, and I join with them in looking for ways to transform that heavy mood into a weighty life. Contemporary people often don’t take their lives seriously enough. This tendency might be an aspect of the cult of celebrity, where we lose sight of our own importance by making too much of it in others. In the archetypal psychotherapy that I practice, we always say: Go with the symptom. I don’t look for quick escapes from the pain or good distracting alternatives. I try to imagine how a symptom, like a long-standing dark night, might be re-imagined and even lived out in a way that is not literally depressive. As far back as the Middle Ages at least, dark moods were considered to be the work of Saturn, a spirit symbolized by a planet far out in the solar system. He was cold, lonely, and heavy, but he was also the source of wisdom and artistic genius. Look through history and you will find a great number of creative men and women who have struggled with the Saturnine humor. This ancient idea that a dark night may be connected with genius and inspiration could help us today as we try to be constructive with a Saturnine disposition, like Lincoln’s, or a period of smoky moodiness. We might imagine it as the root and basis of an engagement with life that could give meaning and purpose. This doesn’t necessarily mean that eventually the dark spirit will go away, but it may have a counterweight—some extraordinary creative activity and involvement in life—that will make it more than bearable and may diminish it. With our contemporary view of anything that looks like depression, we think: I’ll never be happy, never have a good relationship, never accomplish anything. But with the medieval image of Saturn, we might instead tell ourselves: A dark night is the sign of a high calling. My pain and loneliness will prepare me for my destiny. There are many examples of men and women who endured unimaginable ordeals and yet contributed in a striking way to humanity’s progress. Nelson Mandela was in prison for 27 years under harsh conditions, yet he never lost his vision and sense of destiny. One of his younger fellow prisoners said of him: “The point about Nelson, of course, is that he has a tremendous presence, apart from his bearing, his deportment and so on. He’s a person who’s got real control over his behavior. He is also quite conscious of the kind of seriousness he radiates.” This is dark night talk—presence and seriousness, the key gifts of Saturn—as a long tradition holds. Mandela’s dark night was an actual imprisonment, not a mood. Still, he teaches how to deal with a dark night. Don’t waste time in illusions and wishes. Take it on. Keep your sense of worth and power. Keep your vision intact. Let your darkness speak and give its tone to your bearing and expression. As strange as it may sound, there is a temptation in a dark night to slip into enjoyment of the pain and to identify with your emotions and moods. “I’m a lonely person. I’m depressed. Help me.” One striking quality we see in men and women who are dealing with their dark nights effectively is a lack of masochistic surrender to the mood, which can be forceful and dominating. Mandela had “control over his behavior.” He didn’t succumb. It’s important to live through the dark night, acknowledge it, notice its qualities, and be affected by it. At the same time, it is not useful to be too attached to it or to let it dominate. You don’t want to be the hero who slays dragons and tries to obliterate the darkness, but you do need all the strength of heart you can muster. While giving a dark night its due, you can also cultivate a love of life and joy in living that doesn’t contradict the darkness. You can be dedicated to your work and your vision for humanity and also feel overwhelmed by the suffering in the world. To do this it helps to have a philosophy of life that understands the creative coming together of conflicting moods. The rule is simple: Human beings can do more than one thing at a time. You can acknowledge your darkness and still find some joy. An example of the dark night leading to a transformative presence in the world is Maya Angelou, who went from not speaking for five or six years as a child out of guilt and the wounds of abuse to reciting the inaugural poem for Bill Clinton and inspiring millions to make something of their own dark nights. In all her public appearances, Angelou showed both the pain and the joy that shaped her mission in life. She carried her pain throughout her life and yet her joy seemed to increase with her impact on men and especially women around the world. Angelou’s experience demonstrates in an intriguing way how a dark night might take away your ‘voice’ and then give it back with added power. The question is, how do you go from a dark night to having a positive impact on the world, thus giving your own life purpose? The first step is to embrace the darkness, take it to heart, winnow out any subtle innuendos of resistance. Then find any images that are trapped in the thick dark mood or situation. Those images may hold the clue to your release and future service. Angelou lost her voice, a fascinating symptom and a strong image, and then became known worldwide for her voice. The cure lies in the illness, the hint at future activity within the symptom. If you tone down the dark elements because they are painful and discouraging, you may also hide the gifts that are there for you. The ‘dark night of the soul’ is a term that goes back a long time. Yes, I have also experienced it. It is a term used to describe what one could call a collapse of a perceived meaning in life… an eruption into your life of a deep sense of meaninglessness. The inner state in some cases is very close to what is conventionally called depression. Nothing makes sense anymore, there’s no purpose to anything. Sometimes it’s triggered by some external event—some disaster perhaps. The death of someone close to you could trigger it, especially premature death—for example, if your child dies. Or the meaning that you had given your life, your activities, your achievements, where you are going, what is considered important, and the meaning that you had given your life for some reason collapses. It can happen if something happens that you can’t explain away anymore, some disaster, which seems to invalidate the meaning that your life had before. Really what has collapsed is the whole conceptual framework for your life. That results in a dark place. 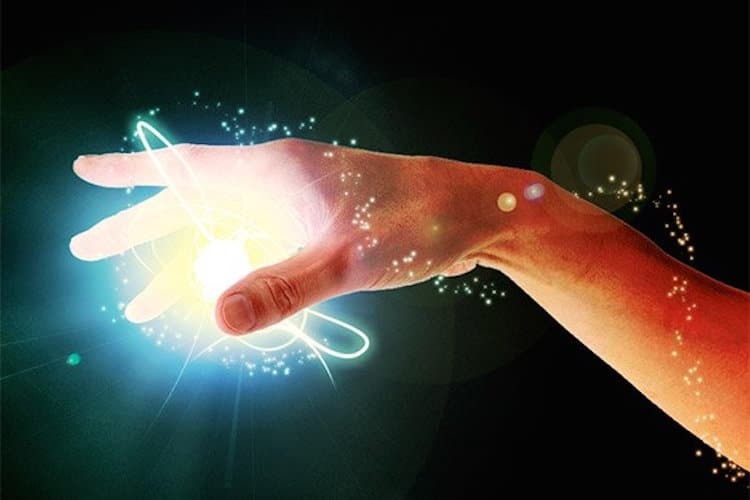 There is the possibility that you emerge out of it into a transformed state of consciousness. Life has meaning again, but it’s no longer a conceptual meaning that you can necessarily explain. Quite often it’s from there that people awaken out of their conceptual sense of reality, which has collapsed. They awaken into something deeper. A deeper sense of purpose or connectedness with a greater life that is not dependent on explanations or anything conceptual. It’s a kind of re-birth. The dark night of the soul is a kind of death. What dies is the egoic sense of self. Of course, death is always painful, but nothing real has actually died—only an illusory identity. Now, it is probably the case that some people who’ve gone through this transformation realize that they had to go through that in order to bring about a spiritual awakening. 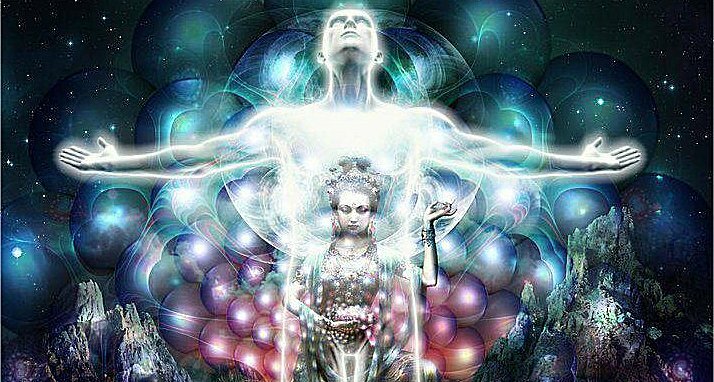 Often it is part of the awakening process, the death of the old self and the birth of the true self. You arrive at a place of conceptual meaninglessness. Or one could say a state of ignorance—where things lose the meaning that you had given them, which was all conditioned and cultural and so on. Then you can look upon the world without imposing a mind-made framework of meaning. It looks, of course, as if you no longer understand anything. That’s why it’s so scary when it happens to you, instead of you actually consciously embracing it. It can bring about the dark night of the soul. You now go around the Universe without any longer interpreting it compulsively, as an innocent presence. You look upon events, people, and so on with a deep sense of aliveness. You sense the aliveness through your own sense of aliveness, but you are not trying to ﬁt your experience into a conceptual framework anymore. Another important strategy is to avoid making the dark night too personal, too focused on yourself. Yes, you feel it intimately and alone. But it could still have more to do with the suffering of the world than with yourself. Maybe dark nights are generally less personal than they feel. At any one time, beings on the planet are suffering. The planet itself is suffering; it is going through a dark night constantly. If you live in a place where children are hungry and dying in wars and in domestic violence, you are within the realm of the world’s dark night. Listen to political leaders deny climate change and you worry about the future, not of the planet on which you live but the planetary being of which you are a living part. If you can stretch your moral imagination to perceive this suffering, then you will have the energy and focus to work toward a transformation. By definition, visionary people imagine utopia, a word that means both ‘no-place’ and ‘good-place.’ It is an imagined state of the world in which people are free of their struggle, where at least the basic insecurities and inequalities have been dealt with. But oddly, it takes the pain and despair of a dark night to envision utopia. Think about it, you wouldn’t be compelled to imagine a perfected life unless you were steeped in its imperfection. The emptiness of the dark night transforms into the no-place of a wonderful world. If you don’t feel the hopelessness of a dark night, you will probably float through life identifying unconsciously with the values and expectations of the culture. You won’t know that there is something wrong, something that calls for a response from you. Personally, you may not feel your being. You may eventually decide that you’re a nobody, for you become a somebody by identifying with the world outside you. Self-realization is not a private psychological achievement managed by a strong will and a hygienic attitude. A strong sense of self emerges when you own and activate the awareness that you are your world. A mystical sensibility and social action go together. Through an essential shift in imagination you realize that you are not the one suffering; the world is. The real stunner is that when you begin to serve the world, your darkness changes. It doesn’t go away completely; nor should it. It continues to feed your vision of utopia and your frustration at the imperfection of it all. But your personal darkness converts into anger at injustice and then into compassionate vision and effective action. The darkness and the vision are two parts of one flowing movement. Maybe it isn’t that your darkness eases but that your ego investment in it diminishes. It feels as though it goes away because you’ve been grasping it. There may be a degree of love for the darkness and a disdain for hope. You don’t want the challenge of being alive and engaging the world. It may be easier to sink into the pit. Some people resist participating in the transformation of the world because they glimpse the challenge in it. They will have to give up a long-held philosophy of easy, comfortable pragmatism and, maybe for the first time in their lives, feel the world’s suffering. You see this pattern of waking up from pleasant unconsciousness to awareness of suffering in the story of the Buddha, and one of the key words Jesus uses in his teaching, not often pointed out by his followers, is ‘wake up.’ But waking up is also entering your dark night instead of remaining in the oblivion of avoidance. You do wake up to a joyful message, the meaning of the word ‘Gospel,’ but the dark night is always part of the picture, the other side of the coin. The best source in classical spiritual literature for describing the paradox of darkness and vision is the Tao Te Ching, where on every page you are invited to live without polarization. Chapter 14 is a good example: “Above, it is not bright. Below, it is not dark.” ‘It’ is everything. Below, where you might expect darkness, it’s bright. Above, where you think you’d find light, it’s dark. Keep this paradox in mind and you will be neither a sentimental idealist nor a cynical pessimist. You will be part of the transformation of it all because it is happening in you. – Creators and primal force of consciousness and grand movements. – The most powerful Initiators are those who awaken to their purpose to serve rather than rule (because they also make great rulers). – Trust in their own ability to separate right from wrong regardless of what they are told. – Live and breathe what they think they need to do and nothing will stop them from doing it. – Generally optimistic people who have a great deal of inner strength and are often a source of inspiration to others. – Self-motivated, striving for progress, with ambitious will, power and positivity. – Pioneers with leadership qualities that attract many followers. – Have an initiative, instinct and intuition that makes it all self-perpetuating. – Eternally optimistic that the world is going to get better and that everyone will live in peace and harmony. – Cooperate well with others in order to maintain harmony in their own lives. – Concerned about seeing that everyone has the opportunity to develop their full potential. – Able to cope with life’s ups and downs and will not be disheartened for long by any setbacks. – Great communicators and often have a brilliant command of language. – Feel the need to inspire and beautify the world with their natural capabilities to take anything they have and create something beautiful from it. – Works steadily and can be very persistent. – Finds great satisfaction in accomplishments with physical labor, especially on the land and favors results over financial reward or public recognition. – Believes in effort and control, and is certainly goal-oriented, but goals are simple and down to earth. – Long-term commitment is likely to be a priority since they are faithful and dependable. – Build a solid foundation for the self and others, and making sure that all is safe and secure. – Very pragmatic and opportunistic and can be very, very persuasive. – Intellectual, versatile, investigative and imaginative. – Great flexibility and this allows them to stop something and go off in an entirely different direction. – Ability to adapt and change freely as they are free spirits who have a sense of adventure and curiosity about life. – Highly inquisitive individuals who consider hands on experience to be the best teacher in life. – Deeply intelligent, philosophical and spiritually-minded. 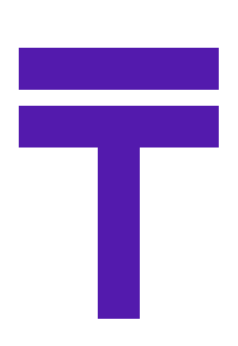 – Symbolizes responsibility and service which they achieve through love, nurturing and protection. – Innate desire within to bring harmony, peace, justice and truth to all experiences in life. – Derive their greatest joy from taking care of everyone else and these people feel most useful when they are fixing things. 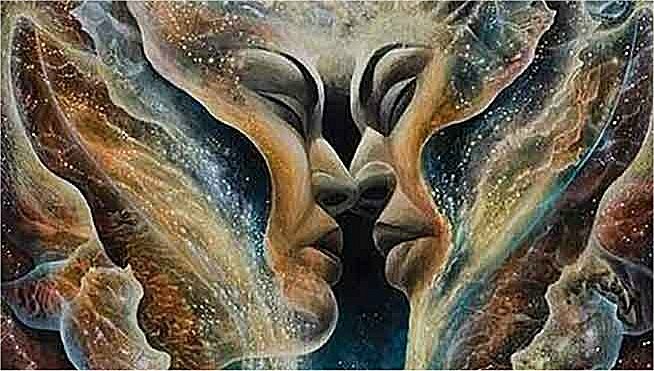 – Within relationship realms, they are loving, supportive, comforting and accommodating, and make for fair, balanced and stable partners. – Make great hosts as they are welcoming to all and know how to bring a sense of beauty, balance and love to all family occasions and social gatherings and outings. – Greatest expression of inner Divinity is through teaching and guidance and are happiest when they see the positive results of their influence blossom in other people. – Some of the greatest thinkers and are often very perspective and intuitive. – Have a love of natural beauty, and flourish when they spend time in natural surroundings, away from civilization. – Outstanding ability to heal people on the spiritual, emotional and physical levels (work well with Healers). – Able to intuitively tune into the emotions and needs of others. – Investigator and inventor whose energy shines in solitude. – Never satisfied until they can link the known with the unknown, and this leads to a great deal of research, analysis and investigation. 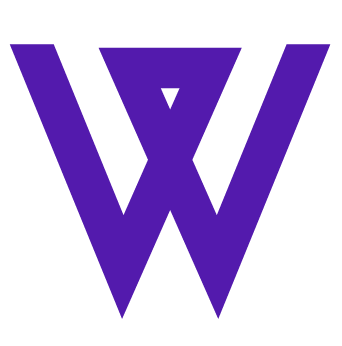 – Knowledge and wisdom are their goals and their quick intelligence and inquiring mind leads them to gather many sources of information simultaneously like no other. They are masters at sourcing knowledge. – Generally content and sure of themselves. – They know what they want from life and know how they are going to achieve their goals. – Will never betray their own beliefs and principles or another’s trust. – Most often their life purpose is learning to manipulate money and power – without becoming corrupted in the process. – Natural leadership qualities, great long term vision and can accumulate a lot of power, prestige and wealth in their lifetimes. – Self-reliant and independent and do not feel at ease at the mercy of anyone else. – Support anything that brings beauty, justice, meaning and profit to the world. – Have an air of success and project an image of being at ease with themselves and their surroundings. 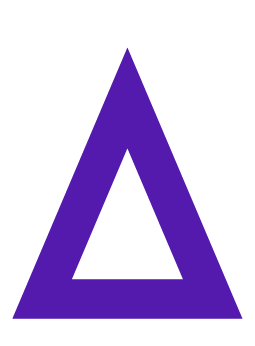 – Charitable, benevolent and altruistic. – The dreamer who feels at home in the realm of the arts, medicine, religion, drama, philosophy and metaphysics. – Healer and educator, acting always for the benefit of others. – Takes care of everyone else, but needs to learn to speak up when they themselves need help, love and support. 21. We don’t live in fear of anything. Any and all changes coming, no matter how much they are perceived as negative or dramatic on our Earth, are being designed by us. We have passed the point of no return and the Earth is ascending to a higher state of consciousness. Nothing will stop it now.